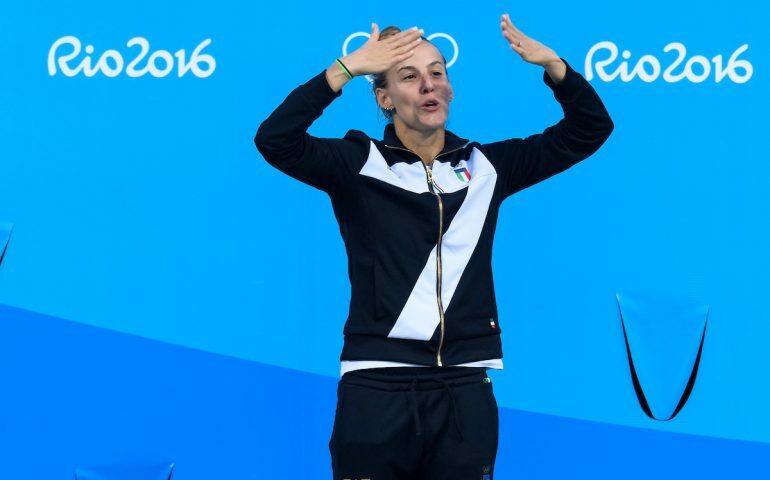 Though you should never say never but Italy’s diving diva, Tania Cagnotto seemed to bid a fitting farewell to her illustrious career in Rio when she managed to earn her first ever individual Olympic medal. It was her fifth appearance at the Games and she was pretty close especially in London when only tenths separated her from the podium both in the individual and the synchro event and she left the Aquatic Centre in tears there. But now life gave back something for her as she clinched silver in the synchro event and managed to come third on Sunday. The two Chinese, Shi Tingmao and He Zi were outstanding and out of reach but Cagnotto produced a great duel with Canada’s Jennifer Abel who took over the third place in the penultimate round but next came Tania and an excellent reverse 2-1/2 somersaults, for 81.00 points, the second best in the afternoon in the entire field and that was enough to take the medal. In water polo a couple of unexpected results highlighted the first day in the big Olympic pool – where swimming took place in the past week. At the end of the day all European giants went through, including the Serbs who had an early scare when Japan led 2-5 after the first period but order was restored later and the European champions won 12-8. Hungary faced a special task against Brazil in this tight group: a loss would have eliminated them while a win propelled them to the first place – the latter happened as they dominated throughout the entire match against the hosts. The synchro events also began, with the duet’s prelims. The Russians, Natalia Ishchenko and Svetlana Romashinha got the first place, as expected and it seems that the Spaniards, the Ukrainians and the Italians might have a shot for the bronze though in the prelims the Japanese were placed third.